In our latest video, Vinod Kumar, Solutions Director at attune who played an integral role in managing attune’s co-innovation partnership on the design, proof of concept and development of SAP Fashion Management, delves deeper in how fashion companies can make the move to S/4HANA for Fashion and Vertical Business from SAP Apparel and Footwear Solution. The decision should however be made considering your current roadmap, current status of your SAP Footprint and the technical and implementation scope perspective. 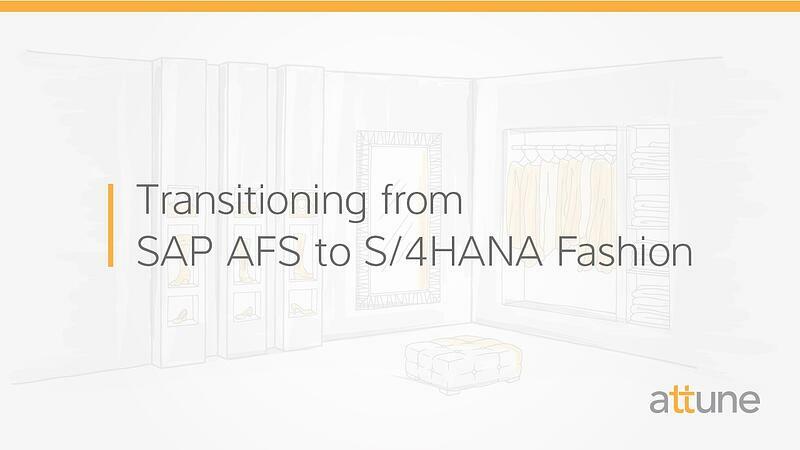 It is important to remember that moving from SAP AFS to SAP FMS is considered as a new implementation (SAP provides tools such as DTNT to allow the migration), however the move from SAP FMS to S/4HANA is a conversion or migration of applications rather than a new implementation.